The humble sandwich transformed into a technological accomplishment. 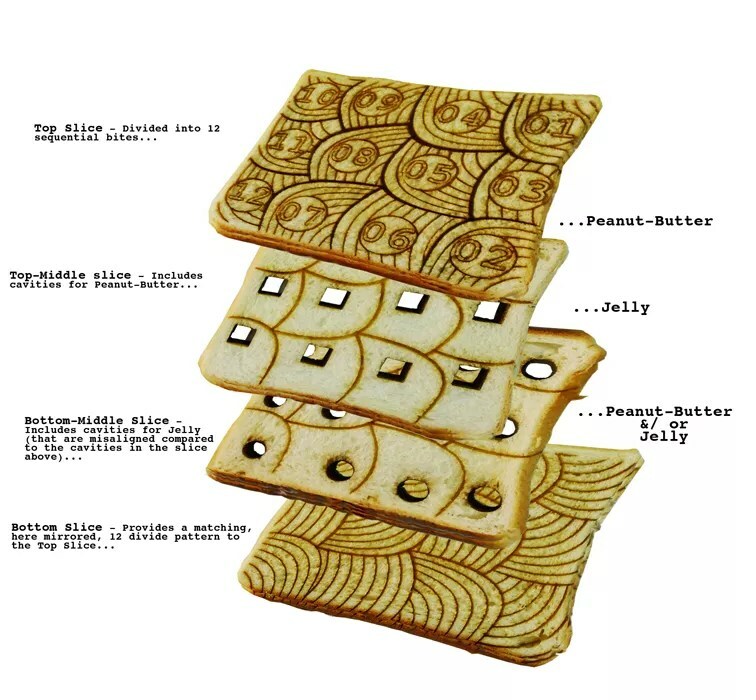 Dr. Thomas Modeen of Qatar has used a laser cutter to create what may be the most advanced peanut butter and jelly sandwich yet. At the very least, this is the most thought someone has ever devoted to the most humble of lunches. While laser cutting is often used to decorate food, Dr. Modeen has actually tried to improve the food. Basically, he cut little individual pockets to keep the peanut butter and jelly separate until the last possible moment. I?? ?ll let him explain the rest after the jump (with a lot more pictures). Each of the sandwiches slices is divided into twelve, numbered and matched, ???bites???. Each bite includes corresponding, same size, cavities into that secure that equal quantities of both peanut-butter and jelly are distributed into each of the numbered bites. The cavities of the middle slices are misaligned in comparison to each other to make sure the won?? ?t mix and become too gooey before the mastication phase??? 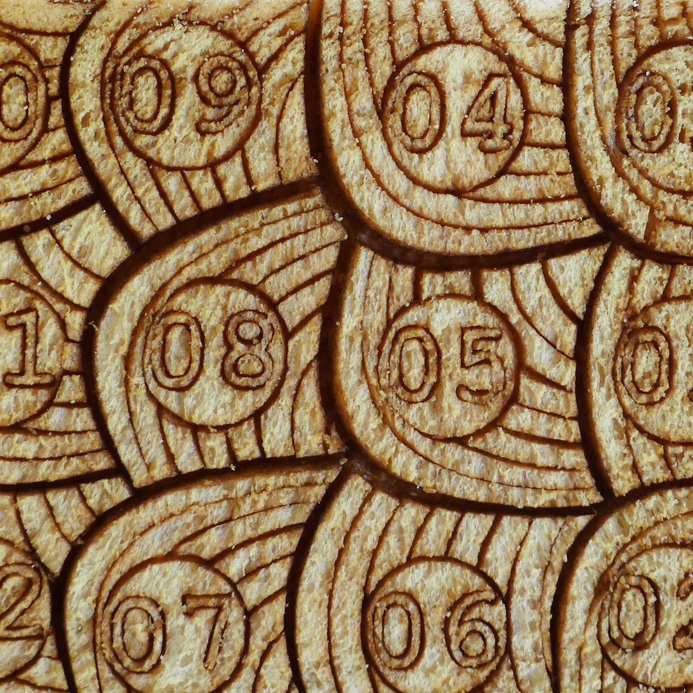 A number of different cutting settings were used to create a variety of bespoke cuts across the toast planes. The ???toasting??? patterned (wave-like) cuts are dense and shallow; the ???bite??? 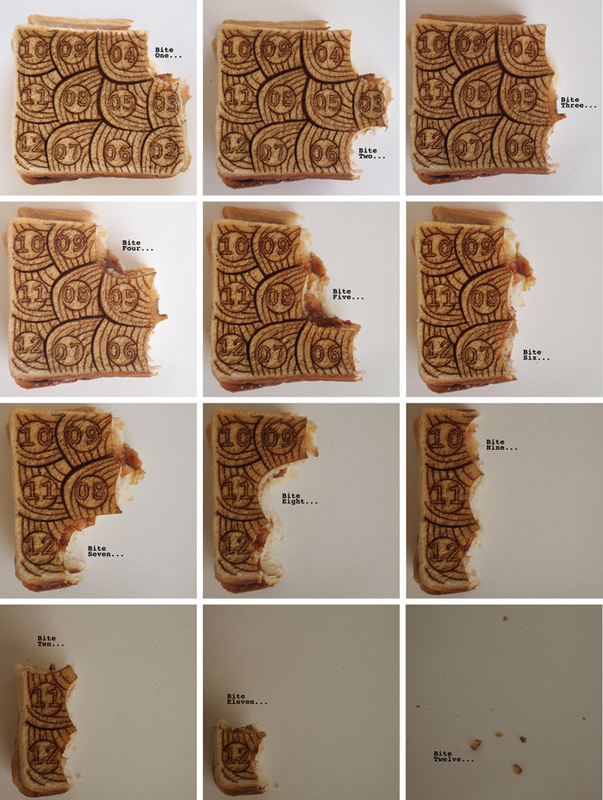 cuts are a bit deeper to allow for each of the twelve bite segments to break off; and the cavities for the peanut-butter and jelly have been cut all the way through?? ?